You can use your college savings plan for graduate school. College savings plans encompass a wide range of plans including 529 plans and Coverdell ESAs. Your parents may have set one up for you to help pay for college. 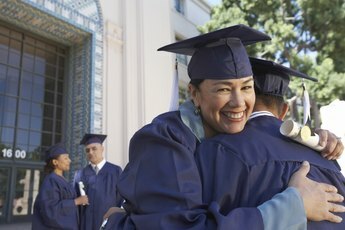 In most states, the control of 529 plans always remain with the contributor, so just because you've graduated from college doesn't mean you get control of the money your parents put in the account for you. Conversely, in most states, Coverdell ESAs become the property of the student once the student reaches 18. If you find yourself in control of money in a college-savings plan, you don't have to share with the IRS if you use the money for college or graduate studies. For example, if you want to go back for your MBA or another masters, your distribution won't result in any taxes. However, if you take it out for other reasons, you're stuck paying the taxes and penalties on the earnings. Request a distribution from your bank. Actually getting the money out is as simple as that. Reporting it to the IRS, on the other hand, can be a bit more complicated if you do not use the money for qualified educational expenses. When you take a distribution, your bank sends you a Form 1099-Q that reports the distribution for tax purposes. The rules are the same whether you take money out of a 529 plan or a Coverdell ESA. Calculate your qualifying educational expenses by subtracting any tax-free assistance from your qualifying expenses. Qualifying expenses include tuition, fees, supplies and, if you are enrolled at least half-time, room and board. Sorry, fraternity and sorority dues don't count. Tax-free assistance includes scholarships or tax-free employer-provided assistance. If you use all the money for qualified costs, don't report the distribution on your taxes at all. Divide your qualifying expenses by your college savings plan distribution and subtract the result from 1 to figure the portion of your earnings that are a nonqualified distribution. The amount of your distribution is found in box 1 of the Form 1099-Q. For example, if you took a distribution of $5,000 and used $4,000 for qualifying expenses, divide $4,000 by $5,000 to get 0.8. Then subtract 0.8 from 1 to get 0.2. Multiply the portion of earnings that are taxable by the earnings withdrawn. Check box 2 of the 1099-Q to find your earnings. For example, if your $5,000 distribution consisted of $1,000 of earnings, multiply $1,000 by 0.2 to get $200 of the earnings are a nonqualified distribution. Report the amount of the nonqualifed distribution of earnings on line 21 of Form 1040 so that it will be included in your taxable income. You must also pay a 10 percent additional tax on the nonqualified earnings, unless you qualify for an exception, such as if you're permanently disabled or received a scholarship that covers your qualifying educational expenses. 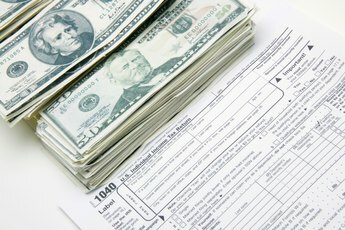 The extra tax is calculated with part II of Form 5329. "Can IRA Money Cover Tuition, Meal Plans and Housing?" Can I Claim Early IRA Withdrawal for Private School?